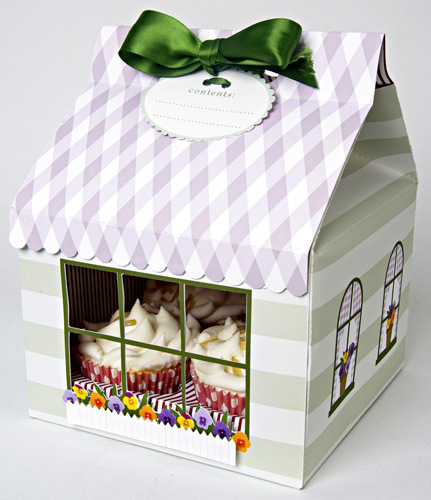 Flower Shop Large Cupcake Box - Cake & Cupcake Etc. 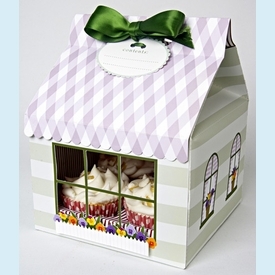 A stylish cake box to hold 4 cupcakes complete with flowery window box and and finished with a sumptuous satin ribbon. The box is decorated with geometric patterns. 3 boxes per pack. NOTE: Only 6 packs left! SIZE DIMENSIONS: 6" x 6" x 8"